Heat recovery systems can be implemented in areas of consistent heat, whereby incoming energy gain is reused for other areas. 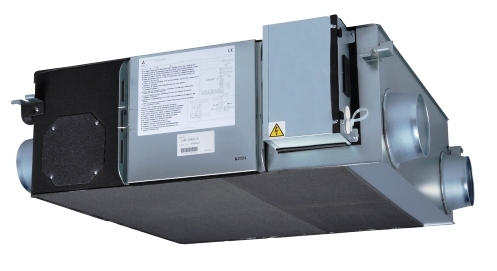 The existing heat is employed in increasing the temperature of external incoming air, so that the temperature required can be achieved more efficiently. As a result the system is not only economical but environmentally friendly. The above image shows the layout of the heat recovery system in practice by use of a Lossnay heat exchanger. Stale warm air is extracted from the room while fresh air is drawn from outside. Heat recovery systems also have health benefits in supplying fresh air to working environments. Sick Building Syndrome (SBS) can occur in areas which are poorly ventilated, and include symptoms such as irritation of the eyes, nose, throat and skin, unpleasant tastes and smells, headaches and lethargy.